Piece by Piece: Summer projects finished! 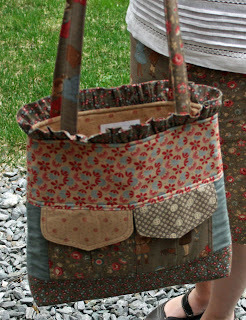 Here is a close up of the bag. 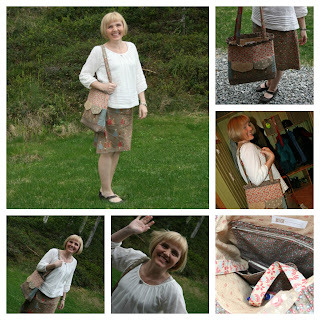 The pattern is "Mathilde's summebag" by AnnAKa (Norwegian pattern). Tonight I made a little wallet to match the bag- just have to add the closure, and I'll show you tomorrow! Kjempefint skjørt og veske. Nå kan sommeren bare komme! Hi Anne Heidi, you surely look well prepared for summer ;o) And that fabric line is gorgeous! Looks like a great bag...the fabrics are so pretty! !